Evidence collected in Turkey shows on initial examination, that former dissident and journalist Jamal Khashoggi was the victim of “a brutal and premeditated killing, planned and perpetrated by officials of the State of Saudi Arabia,” according to the United Nations expert conducting an independent human rights inquiry into his death. “The murder of Jamal Khashoggi and the sheer brutality of it has brought irreversible tragedy to his loved ones”, said Agnes Callamard, the UN Special Rapporteur on extrajudicial, summary or arbitrary executions, at the end of her first official visit to the country, from 28 January to 3 February. 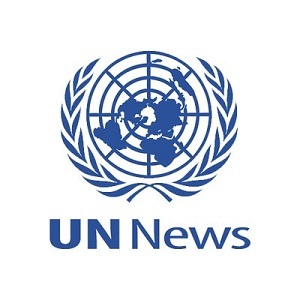 “It is also raising a number of international implications, which demand the urgent attention of the international community including the United Nations”, she continued. The Special Rapporteur travelled to Ankara and Istanbul with British Baroness Helena Kennedy, a forensics expert who sits in the House of Lords, and homicide investigator Paul Johnston. Though the investigations are ongoing, she will present her final report to the Human Rights Council in June, along with a range of recommendations, including the issue of formal criminal accountability, and how these correspond to international law. “The human rights inquiry I have committed to undertake is a necessary step, among a number of others, towards crucial truth telling and formal accountability”, she said. Ms. Callamard noted that Turkey’s efforts to carry out a “thorough, independent and impartial” investigation had “been seriously curtailed and undermined by Saudi Arabia”. “Woefully inadequate time and access was granted to Turkish investigators to conduct a professional and effective crime-scene examination and search required by international standards for investigation,” she elaborated. He was last seen alive, going in to the Saudi consulate in Istanbul, on 2 October last year. The Special Rapporteur said that she had heard parts of graphic audio material obtained by the Turkish intelligence agency, but largely due to time constraints, was unable to technically examine or independently authenticate it. 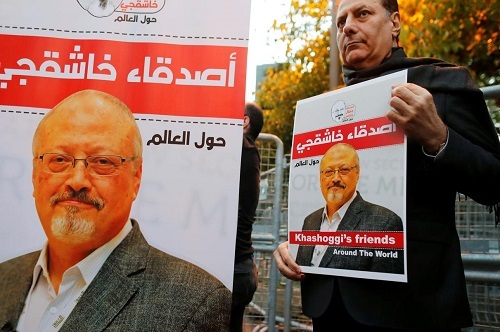 She called Mr. Khashoggi’s assassination part of a pattern of killings globally of journalists, human rights defenders, activists and opponents of various regimes. “Fleeing abroad in search of safety has become less and less a reliable form of protection,” the Special Rapporteur warned. “The international community must take a strong and collective stand against these practices”. Ms. Callamard thanked Turkey for supporting the visit and called on the relevant authorities to remain engaged and maintain full cooperation with the mission. “I intend to continue to consider evidence in the weeks to come and would urge anyone who has knowledge or intelligence about what took place before and after Mr. Khashoggi’s murder, to share it with us,” the Special Rapporteur asserted. The team met the Minister of Foreign Affairs, the Minister of Justice, the Chief of Turkish Intelligence, the Chief Prosecutor of Istanbul and a number of others, including from civil society and media. Noting that her office had no official representation in the Gulf Kingdom, UN High Commissioner for Human Rights Michelle Bachelet had said earlier that a murder trial in Saudi Arabia, would not meet the requirements of an independent and international probe. News reports have said that within US intelligence circles, Saudi Crown Prince Mohammed bin Salman either ordered the killing or was at least aware of it, but Riyadh, which denies any knowledge or involvement on the part of the Crown Prince, has formally charged 11 men with the murder – seeking the death penalty for five of them.